The Hockey Show, Canada's only campus-produced hockey radio show, is back tonight with a pile of stuff to go over in detail. There's a contest we need to discuss a little more, an adventure that Beans and I will go on in the coming weeks, a fun event happening in town this weekend, and a pile of hockey stories that shall be discussed! More importantly, there will also a new voice added to the show tonight as The Hockey Show has been tasked with a new intern to prepare for life on the air! While we don't condone hazing of any kind, it might be a good night for a few pranks as we have a very busy show tonight! 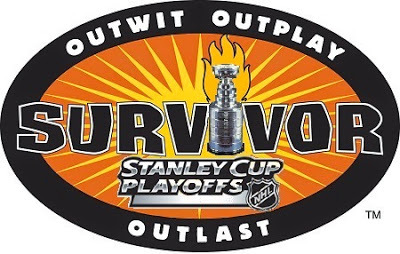 If you tuned in last week, you know we're bringing the Survivor: NHL Playoffs contest back! We'll chat about that a little tonight as prizes are slowly rolling in. We'll also meet TJ, our new intern for a short period of time, and we'll hammer him with questions like we do in every other interview (not true)! Among the other topics, we'll talk about an upcoming field trip for The Hockey Show, the Hometown Hockey event going on in Winnipeg this weekend, the Juno Cup being played in Calgary and our memories of it here in Winnipeg, the Duncan Keith slash and for how long he should be suspended, the Women's World Championship happening in Kamloops, the WHL Playoffs and how Brandon trails 2-1 after dropping the opening two games in Brandon, Jonathan Bernier's magic loogie, Wes McCauley's attempt to win an Emmy, Jimmy Vesey and the Nashville Predators (and Bruins and Maple Leafs), NHL emails, and a new twist in the Ilya Kovalchuk saga! Told you it was a busy show! I doubt we'll get through all of it, but it should be another good show. You know, as a hockey fan, you want to tune in and not to some other stupid radio show because The Hockey Show is its own unique brand of insanity. Get on the web and tune in or turn on the radio and tune in. You'll laugh, you'll shake your head, you'll agree and disagree. In the end, we're just having fun! The phones will be open for questions, comments, and everything else so give us a call at (204) 269-UMFM (8636)! Of course, make sure you tune your radio dial in the Winnipeg region to 101.5 on your FM dial or listen live between 5:30pm and 6:30pm CT on your web-enabled device at the UMFM webpage! Tweet me anytime with questions you may have by hitting me up at @TeebzHBIC on Twitter. 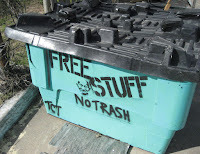 You can also post some stuff to Facebook if you use the "Like" feature, and I always have crazy stuff posted there that doesn't make it to the blog or show. We'll get you set up for hockey's craziest contest, a field trip, and give you a chance to meet the new guy tonight on The Hockey Show only on 101.5 UMFM! With a vast number of rostered players out of the lineup for various reasons, watching Winnipeg Jets games is turning into watching Manitoba Moose games. Lots of Moose players are in the lineup for the Jets as the season winds down, and head coach Paul Maurice appears to be having himself a little training camp in March. The good news for the Manitoba Moose is that there are a lot of the younger kids getting into the lineup and we're seeing some excellent signings starting to show fruit as GM Craig Heisinger is certainly earning his keep in working the phones and finding solid talent. The new guys may not be household names, but if they help the Moose put up a few wins they may be back next season for a longer look. Let's get this party started here on Antler Banter! 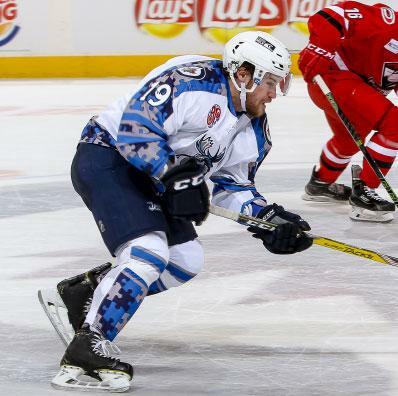 Saturday saw the Moose and Charlotte Checkers kick off a two-game set at MTS Centre as the Moose wore special jerseys for Autism Awareness Night! The only problem was that the Checkers showed up to play while the Moose sat back and admired their new threads. Charlotte jumped out to a 3-0 lead 21 minutes into the game that saw Eric Comrie head to the bench to be replaced by Connor Hellebuyck as head coach Keith McCambridge looked to spark his team. It seemed to work as Ben Walker scored his first of the season at 18:19 and Scott Kosmachuk put his 15th puck in the net 1:20 after that! Unfortunately for the Moose, the Checkers came out in the third period and buried them as they scored three more goals to give them the 6-2 victory. John Muse was good on 24 of 26 shots in the win while Eric Comrie took the loss in stopping six of nine shots. Hellebuyck stopped 15 of 17 in relief. The Moose fall to 21-37-4-5 on the season after the setback. The two teams would resume hostilities on Monday at MTS Centre, and things started off well for the visitors as Derek Ryan notched a goal just 1:23 into the game to put the Checkers up 1-0. It would remain that way until just after the halfway mark in the game when Scott Kosmachuk hit the scoresheet again, putting his 16th goal of the season on the board for the 1-1 tie. At 7:35 of the third period, the kid struck again as Kosmachuk registered goal #17 on the power-play to put Manitoba up 2-1! Connor Hellebuyck would stand tall with the lead in keeping Charlotte off the board for the final 12 minutes of the game as the Moose take this one by the 2-1 score. Hellebuyck stopped 26 of 27 shots he faced while John Muse took the loss. With the win, the Moose improve to 22-37-4-5 on the campaign. There have been a pile of moves made by the Jets and Moose, so hold on tight as we roll through this. Friday saw the Jets return Chase De Leo and Scott Kosmachuk to the Moose. De Leo played two games without registering a point while Kosmachuk had three assists in eight games with the NHL club. Based on his performance against the Checkers, it appears Kosmachuk picked up a ton of confidence in his eight-game stint with the Jets. In exchange for the two forwards, the Moose recalled Brenden Kichton to the NHL club on Friday. The 23 year-old defenceman leads the Moose in points with nine goals and 25 assists, and he's been an effective player for the Moose all season long. Kichton, if given the chance, could be productive for a Jets team that needs a good puck-moving defenceman. In response to Kichton's recall, the Moose also announced that they had signed defenceman Sean Escobedo to a PTO on Friday. The 25 year-old rearguard has played in 62 games with the ECHL's Greenville Swamp Rabbits, picking up one goal and 21 assists in that time. He has also seen AHL time in three games with Hartford and Charlotte this year. He should be a steady addition to the patchwork Moose blue line. On Saturday, the Moose announced that they had signed forward Brandon Denham to an ATO. The 24 year-old played for Robert Morris University in the NCAA this season where he posted 22 goals and 20 assists for 42 points in 39 games with RMU. He also served as their assistant captain, so it appears that Craig Heisinger has found another good collegiate player who brings scoring and character to the Moose! The Winnipeg Jets made Brenden Kichton's time with the NHL club a short one as they returned him to the Moose on Saturday. Kichton has yet to appear in an NHL game in his career, but he's trending in the right direction for that to happen soon. Monday morning, the Moose recalled goaltender Jussi Olkinuora from the ECHL's Tulsa Oilers as Eric Comrie was absent from practice. Olkinuora sports a 9-8-2 record in 20 games for the Oilers with a 2.73 GAA and a .907 save percentage. His six games with the Moose haven't gone so well, so he's looking to improve on those statistics before the year is done. On Wednesday morning, the Jets recalled Chase De Leo once more. Will he see action this time? The Moose also announced Wednesday morning that they had signed three defencemen: Jordan Hill, Jordon Southorn, and Jon Jutzi. A whole lot of J's in there. So who are these guys? Jordan Hill was signed to a PTO. The 27 year-old played 66 games with the ECHL's Norfolk Admirals this season, amassing four goals and 22 assists. Hill spent time in the last two seasons with the St. John's IceCaps, so he's familiar with the True North franchise, and he made his pro debut with the Moose back in 2009-10. Hill's a good, steady defenceman who takes care of the puck in his own end. He's a solid addition to the club. Jordon Southorn also joins the Moose on a PTO. The 25 year-old Southorn has played 60 games with the ECHL's Fort Wayne Komets where he's put up nine goals and 29 assists. He's seen time in the AHL with Providence and Portland to the tune of 29 games, but he's a solid ECHL blueliner as he has 273 games experience there. He won't be flashy, but he should do well. Jon Jutzi comes to the Moose on an ATO. The 24 year-old arrives in Manitoba having finished a college career at Minnesota State University where he played 41 games this season, putting up five goals and ten assists. He's more of a stay-at-home type of defenceman, so it will be interesting to see how his transition to the pro game goes. The season is winding down as the Moose, as of writing this piece, have a total of eight games left. That includes tonight's and Friday's games in Des Moines versus the Iowa Wild in a battle of the cellar dwellers. The Wild trail the Moose by three points in the standings, and the Moose trail the Springfield Falcons by one point when it comes to the bottom of the AHL standings. Clearly, these four points mean a lot to both the Moose and Wild as it will determine who may finish in the cellar of the AHL standings this season. Beyond that, the Moose welcome the Central Division-leading Milwaukee Admirals to town next Tuesday and Wednesday. Of all the teams that Milwaukee has defeated this season, the Moose hold a 4-1-1 record against the Admirals. There have been four one-goal games, and the Moose won the only game in their last meeting by three goals. In other words, the Moose have the Admirals' number this season. We'll see if they can push the season series to a 7-1-1 record when the Admirals visit town next week! That's all for tonight! The Moose are currently in action against the Iowa Wild, so GO MOOSE GO! See this guy? He's a pretty solid defenceman. He scores points, takes care of business in his own end, is responsible with the puck, throws a few hits, and is known for the incredible amount of ice-time he logs for the Chicago Blackhawks. If there is one thing that plagues Duncan Keith, however, it's his poor decision-making skills when it comes to righting perceived wrongs against him. He tends to act before thinking, and it usually lands him in hot water. Case in point? Tonight against the Minnesota Wild where he did something that can only be described as incredibly dangerous and unbelievably stupid. And that's describing what happened mildly. In yet another gladiatorial-style Central Division match-up, the Blackhawks and Wild were engaging in some hostile play midway through the first period when Charlie Coyle and Duncan Keith met up along the boards. Some pushing and shoving led to Coyle dumping Keith by pushing him over his stick, causing Keith to land on his back with Coyle standing over him. Yes, it should have been a penalty, but neither referee raised his arm. It was at this point that Duncan Keith made a poor choice. Here's the video. On the replay, you can see Keith look up at Coyle before rolling over and bringing his stick over top where it catches Coyle square in the face. While the video doesn't show it, Keith protested his dismissal from the game by trying to portray the stick swing as an accident as he rolled over, but let's be honest: that was planned and it was downright dirty. Coyle, whose face was bloodied and it appears his nose was broken, didn't suffer any lasting consequences from the attack other than a cut and a realignment of his nose, but you could see him glaring at Keith in the video above. I would have been incensed as well. What Keith did was absolute garbage, and it should cost him in a big way. How big, you ask? I'm starting the bidding at ten games. Chris Simon received a 25-game suspension for his stick-swinging incident against Ryan Hollweg. Marty McSorley spent 23 games away from the ice for his stick-to-head attack on Donald Brashear. Brad May sat for 20 games after slashing Steve Heinze in the nose. Tony Granato took 15 games off for slashing Neil Wilkinson in the head. Ted Green, David Shaw, Owen Nolan, and Scott Niedermayer and made contact to the head of an opponent with a stick in a deliberate way, and all of them got ten or more games to sit and think about their actions. 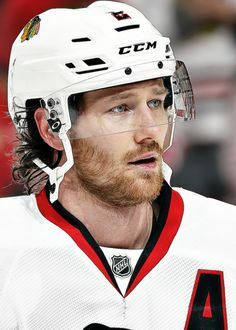 Duncan Keith doesn't have the history of suspensions and questionable actions like some of the men above, but neither did Scott Niedermayer, Tony Granato, or Owen Nolan and they all sat for ten games or more. The Blackhawks have five games left in the regular season, so half of Keith's suspension would be fulfilled prior to the playoffs starting. The final five games would be served in the playoffs or, if Chicago is swept out of the post-season, into the opening game of the 2016-17 season. Some will say that I'm being far too harsh. Others will agree. I respect both opinions, but what makes this an easy call for me is that Keith looked at Coyle, made a conscious decision to swing his stick, and then caught Coyle in the face with his egregious slash. It wasn't accidental no matter how much of a case Keith makes for it. This was a deliberate slash to the face of a player with whom Keith had been battling who took a liberty on Keith once the play had moved away from them. Ten games. There is precedence for the suspension length and it is entirely warranted. I'll come right out and admit that I was a Seinfeld fan. There are a number of people who didn't like the show, and that's ok too. I, however, enjoyed the irreverent sitcom for its insanity, and there were a number of memorable moments on the show like the one above. 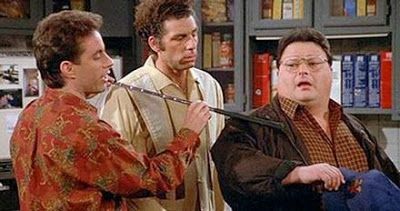 That is Jerry, Kramer, and Newman in the midst of the "magic loogie" explanation with Jerry illustrating the path of the loogie. It's one of the moments you never forget because of the craziness in the moment, but we almost saw a real-life moment of the "magic loogie" tonight! With his Toronto Maple Leafs in Tampa to play the Lightning, goaltender Jonathan Bernier was ignoring the dancing spaceman as best he could when he decided to cleanse his mouth by expelling some saliva. The only problem? Well, you'll see. Oops! Bernier's spittle hits the Lightning ice crew member who comes skating in from the right side of the screen! Clearly, he didn't see the ice crew member coming up the boards, and the timing wasn't the best! Bernier's reaction, though, is priceless! While we won't need Jerry Seinfeld to recreate and illustrate the path that the loogie took in this case, it's pretty clear who the spitter was based on the reaction by Bernier. While it's obvious that this was accidental, you wonder if he looked for his victim and signed a few things for the kid? Look both ways before expelling anything from the bench, kids! 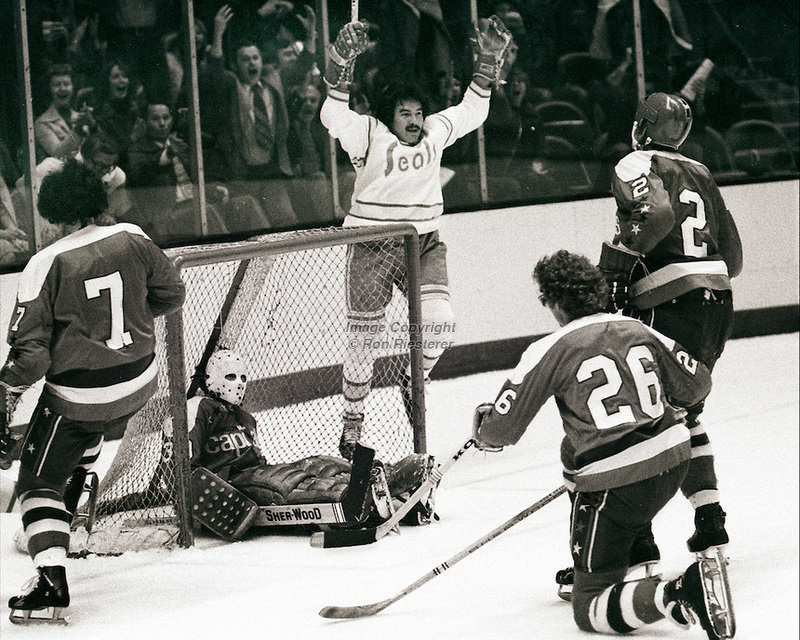 The 1974-75 Washington Capitals were nothing like this season's Washington Capitals. It was the inaugural season for the Capitals and it would go down as one of the worst in NHL history, but tomorrow is a special day in Capitals history. It is the anniversary of their first road win in franchise history! If that seems a little odd, it might be had it not been for some history-making moments for the newest member of the NHL. What makes it more special is that the road win would come against the California Seals! This is the story of that memorable day when history was stopped by having the Capitals pick up their first win outside of the District of Columbia! The season started off with some major realignment for the divisions as the Washington Capitals and Kansas City Scouts were brought into the fold. The season was bumped to 80 games as a result of the added teams, moving from 16 to 18 in the NHL. Washington would find itself in the Norris Division along with the powerhouse Montreal Canadiens, the surprising Los Angeles Kings, the Pittsburgh Penguins, and the Detroit Red Wings. Honestly, once the puck dropped, it wouldn't matter much for the Washington Capitals who they played as they were regularly on the losing end of the equation. There were some interesting notes as the season rolled on. Bobby Orr would win his second scoring title. The California Seals and Pittsburgh Penguins were rumoured to be moving to Denver and Seattle, respectively, to ownership groups that had been awarded franchises for the 1976-77 season. Those moves, of course, didn't happen. There was a three-way tie for first-overall in the NHL as Buffalo Sabres, Montreal Canadiens, and Philadelphia Flyers all finished the season with 113 points. The Flyers would be determined to be the first-overall team as they had the most wins. And then there were the Capitals. They didn't make the playoffs. They barely made it out of the gates. Washington would finish the season with an NHL-worst 8-67-5 mark for just 21 points. The finished 20 points worse than the Kansas City Scouts who were the second-worst team that season. It was truly a brutal season for the Capitals if it weren't for the records they were setting for losing. Washington actually started the season 1-2-1, winning their fourth game against the Chicago Blackhawks by a 4-3 score on October 17. After an 0-13-1 run, they won their second game against the California Golden Seals by a 6-4 score on November 19. Another 0-9-2 run would see the Capitals pick up their third win on December 15 in a 3-1 victory over the Toronto Maple Leafs. Wins against the Detroit Red Wings on January 26, the New York Rangers on February 11, and the Kansas City Scouts on February 16 accounted for three more victories. It was this win on February 16 - a 3-0 shutout win no less - that would see the Capitals set an amazing record. The Capitals would record 17-straight losses over the next six weeks. They were shutout twice (Boston and Atlanta), gave up double-digits in goals twice (Chicago and Pittsburgh), and surrender six-or-more goals in 11 of the 17 losses. In other words, it was ugly. And to make matters worse, the Capitals had won all six games at home and had lost every game away from the Capital Center. After a 5-1 loss on the road to the Los Angeles Kings, the Capitals ventured down the highway to face the California Seals. 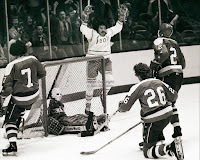 March 28, 1975 saw the Washington Capitals record their first road win in franchise history, beating the California Golden Seals by a 5-3 score after Nelson Pyatt scored two third-period goals. The win snapped the 17-game losing streak and the 37-game road losing streak, both records to that point in the NHL. They would finish the season 1-39-0 on the season with the last two road games against Detroit and Pittsburgh ending in 8-3 and 10-2 finals, respectively. It's a foregone conclusion that Washington will pick up the one point they need to earn the President's Trophy tomorrow night against the Columbus Blue Jackets, but to think that they'll do it on the same day they earned their first road win and the only road win of the 1974-75 season is pretty special. The only thing left is the Silver Chalice. And they look like one of the favorites for that honour as well this season! Best Hit Of The Night! 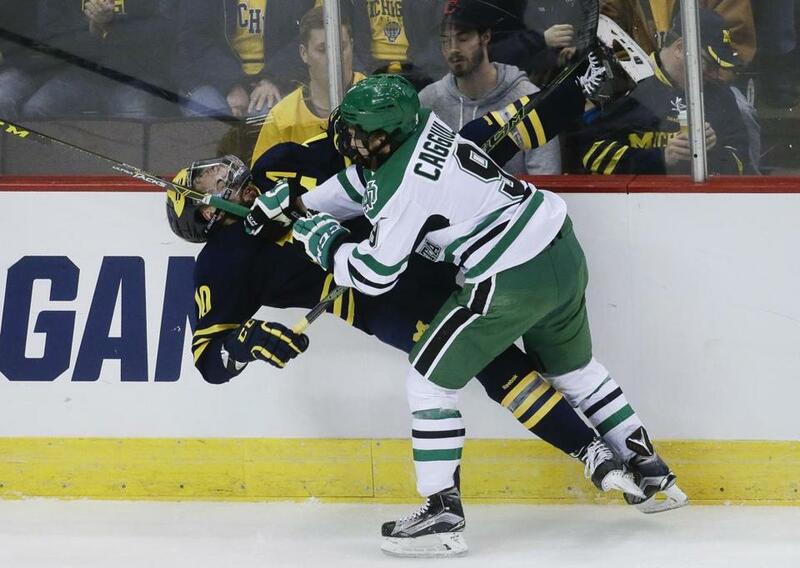 No, it wasn't the one to the left thrown by North Dakota's Drake Caggiula, although that is a good hit he's throwing on Michigan's Justin Selman. The NCAA tends to see more stick work than I'd like to see when it comes to players administering a little vigilante justice since fighting is outlawed heavily, but it turns into a completely different matter when the officials prevent goal celebrations with thunderous bodychecks. Tonight's example of the official getting the better of a player is less about being out of position and more about standing his ground in perfect position as a player comes roaring around the net after scoring! Drake Caggiula take a feed and heads into the Michigan zone on a partial breakaway. He allows the defender to catch up and uses him as a screen as he gets the shot off. Goaltender Steve Racine makes the save, but the rebound comes out to Caggiula where he has all day to pop the puck in the net on the backhand. And then he goes to celebrate. Watch this! It appears that Chip McDonald stands his ground well as Caggiula comes tearing around the back of the net to celebrate his goal, and he runs square into McDonald's arm. McDonald doesn't even budge on the hit! Technically, that could be a boarding call, but I think McDonald makes a clean hit on Caggiula. The best part? Check out Troy Stecher tap McDonald on the helmet after the hit in appreciation! So good! North Dakota, for what it's worth, booked their ticket to Tampa for the 2016 NCAA Frozen Four with a 5-2 win over the Wolverines. They looked sharp, they fired a pile of pucks at the Wolverines' net, and they capitalized on some shaky defensive work in the Michigan end. I'm not saying that the Fighting Sioux Hawks are going to win the NCAA Championship, but they're a dangerous team with a ton of talent who can't be underestimated. Just keep your head up for officials, Drake Caggiula! Sometimes, life takes a turn where jobs are made available. We all dream of a job where we'd relish being at work every single day, but those opportunities are few and far between for the vast majority of us. Every so often, though, luck will present itself as opportunity knocking at the door, and it's up to us to decide whether to answer it and take a chance or to sit comfortably where things are safe and known. The NWHL offered up opportunity today, and it was answered by a women who isn't afraid of taking chances. The NWHL and the Connecticut Whale announced today that assistant coach Lisa Giovanelli Zuba will assume the role of GM in addition to her assistant coaching duties. Off the ice, Gionvanelli is an accountant at Yale University's School of Medicine. Her credentials in managing contracts and a hockey team are... unblemished? There's no doubt that the Whale fell short of expectations this season after leading the league in points for the majority of the season. The instability in the front office and in the head coaching ranks may have contributed to the early exit from the NWHL Playoffs, but Giovanelli has been the constant on the Whale bench, even serving as the interim head coach after Jake Mastel resigned from the position. She has intimate knowledge of who showed up to play every night and who may have been falling short of expectations, and that will be good for her first go-around as a general manager. Where things might get a little dicey is behind the bench. Heather Linstad, head coach of the Whale, now has to answer to her assistant coach when it comes to matters surrounding the team. Gionvanelli still has to go along with Linstad's systems and plans, but she can technically overrule Linstad if and when she likes because she's now Linstad's boss. Let's pump the brakes a little here, though. I can see Linstad and Giovanelli working seamlessly together as they become a unified front for the Whale's front office. Linstad will want certain players to be signed to her team, and Giovanelli can go out and make offers to those players. Giovanelli, having worked with the team and in the league through the entire season, can provide counsel to Linstad regarding the performances of players she saw all year to help the coach form the team that will bring the Whale an Isobel Cup celebration. There is also the fact that Giovanelli played under Linstad at Northeastern and had a hand in bringing her in to coach the Whale when the vacancy opened up, so these two have a long-standing relationship with one another. Of course, we've seen coaches and GMs disagree before, and there could potentially be a power struggle behind the bench if Linstd wants something specific to be implemented. Who does Linstad answer to in the power structure? The general manager who is also her assistant coach. The question that will always exist after this appointment, unfortunately, is one of who is actually running the team - the head coach or the assistant coach/GM? Secondly, if a player has an issue with anything happening with the team, who does she go to now? In this hypothetical, say that she is unhappy with playing time. If she approaches Giovanelli about her time on the ice, does Giovanelli speak to Linstad as an assistant coach where she will have to deliver the coach's message to the player or does she speak to Linstad as the general manager and expect Linstad to follow her instructions? How does Linstad differentiate between the two roles that Giovanelli has? How do the players differentiate? Everything said or done in the dressing room now becomes fodder in the general manager's office as well. Of course, all of this could be for naught. Linstad was asked in March about her desire for the GM role, and she replied, "You know Lisa calls the shots around here, right?" If that statement is true, why is Linstad there? And will she be there for long if Lisa is indeed calling the shots? To judge Giovanelli this early after being named the GM just an hour ago is unfair, so I'm willing to give her reign as the top mind in the Whale camp some time before any judgment can truly be passed. While a power struggle may linger in the background, it sounds as though Giovanelli being the constant was why the Whale didn't entirely collapse at some point last season prior to the playoffs. It seems like Giovanelli might be the right person for the job in this case. Time will, of course, tell us whether it works or not, but there is hope that Giovanelli will last longer than her previous three predecessors did. It's a whale of a job running the Whale as we've seen, but as the team goes into its second season it seems to have found a woman who is passionate enough to take the Whale to new heights. The Hockey Show, Canada's only campus-produced hockey radio show, returns tonight with announcements, discussions, arguments, laughter, and more! There has been a lot going on in the world of hockey since Beans and I have sat down for a discussion on all of it, so tonight seems as good a time as any to clear the board and start fresh as the NHL Playoffs approach. One announcement has to do with that very topic, but there's a pile of other stuff that has happened, will happen, and is ongoing as we kick into another episode of The Hockey Show! Last year, I did something I probably shouldn't have done when I cancelled the Survivor: NHL Playoffs contest. So this year, to correct my galactic stupidity, Beans and I are bringing back the contest! Once things are finalized in terms of playoff spots on Thursday, April 7 - how convenient! - we'll kick the contest off that night on The Hockey Show! This is one of the funner things we do on the show and I really regretted the decision last year, so this year I'm gonna go all-out for the participants! 16 people will be entered into a contest that features the biggest and best prizes our little show will offer to date! One of the best parts of the Survivor: NHL Playoffs contest is that ANYONE can win since it's exactly like an office Survivor pool! There's no hockey knowledge, trivia, or information needed! You randomly select one number from 1 to 16 that has a random playoff-bound team associated with the number, and that's your team for the playoffs! Once your team gets bounced, you get to do a Survivor-style exit interview! You can rant about refs that conspired against your team, how your team undermined you by not showing up when you needed them, and/or anything else that may have contributed to your team's exit from Playoff Island! I am currently working through prizing and getting stuff set up with vendors, but if you want your product featured on The Hockey Show, get in touch with me! We'll go over the rules tonight and next week in preparation for April 7, so tune in and get ready for the best hockey content on radio today! We'll also chat about the CIS National Hockey Championships and who did what in each of the men's and women's tournaments, a serious inequality in the women's tournament, the new-look AHL Jets, Kevin Spacey and the Florida Panthers, a very cool event coming up in Winnipeg, and much more! Of course, you won't get this kind of stuff from that other sports radio station because they just don't care about its listeners as much as we do. We talk all walks of hockey and we design contests so that every listener can win. It's that kind of commitment to you that makes us - The Hockey Show and 101.5 UMFM - entirely different. And because we appreciate your support, it's why we want to give you a chance to win something from our station! The phones will be open for questions, comments, and everything else so give us a call at (204) 269-UMFM (8636)! Of course, make sure you tune your radio dial in the Winnipeg region to 101.5 on your FM dial or listen live between 5:30pm and 6:30pm CT on your web-enabled device at the UMFM webpage! Tweet me anytime with questions you may have by hitting me up at @TeebzHBIC on Twitter. You can also post some stuff to Facebook if you use the "Like" feature, and I always have crazy stuff posted there that doesn't make it to the blog or show. We'll get you set up for hockey's craziest contest tonight on The Hockey Show only on 101.5 UMFM! We're starting to see the Winnipeg Jets call on their farm club to provide some seasoned kids to fill out a lineup in the NHL with both the NHL and AHL seasons winding down. Neither Winnipeg-based club will be participating in a post-season, so these call-ups by the Jets are a preview of what they have down on the farm. If someone makes an impact like Joel Armia did earlier this season, the Moose can pride themselves on getting another kid into the NHL. If a player is returned, it's a chance for that player to use what he learned in the NHL and work on aspects of his game in the AHL. There are a couple of weeks left in the NHL season, so everyone is looking to leave a good impact on the NHL club before summer hits! It's all about the shutouts this week. Like your local Tim Hortons, there are all sorts of doughnuts on display this week. Friday night saw the Moose visit Quicken Loans Arena for a game against the Lake Erie Monsters. After having been stomped by the Grand Rapids Griffins a week earlier, the Moose needed a strong game against the Monsters. Dan DeSalvo got the Moose started in the right way when he scored 6:23 into the game. Brenden Kichton scored late in the second period to put the Moose up 2-0. Darren Kramer and Julian Melchiori added goals in the third period, and Connor Hellebuyck was perfect on this night as the Moose downed the Monsters by a 4-0 score. Hellebuyck made 36 saves in the shutout win while Joonas Korpisalo, fresh off being returned by the Columbus Blue Jackets, was responsible for three goals on 22 shots. With the victory, the Moose improve to 19-35-4-5 on the campaign! Saturday night's game was entirely the opposite as the Monsters and Moose met up again. Alex Broadhurst scored late in the period on a power-play to give the home squad a 1-0 lead. Josh Anderson, Mark Cundari, and Broadhurst added second period goals as the Monsters took a commanding 4-0 lead through 40 minutes. Lukas Sedlak would add a fifth goal midway through the third period, and the Monsters handed the Moose a shutout loss with the 5-0 score. Anton Forsberg picked up the win on a 19-save effort while Eric Comrie allowed five goals on 40 shots. Yikes. The Moose fall to 19-36-4-5 after the loss. The Moose returned home on Monday to host the Stockton Heat. All the scoring came in the middle frame as Brenden Kichton book-ended goals around a Darren Kramer marker. Those three goals would be more than enough, though, as Connor Hellebuyck pitched back-to-back shutouts in the 3-0 win. Hellebuyck stopped all 23 shots he faced while Kevin Poulin took the loss after making 28 stops. The Moose hit the 20-win mark with the victory as they improve to 20-36-4-5! Wednesday saw the second game of the two-game set against the Heat take place at MTS Centre. Jake Baker, whose skill and ability I've been touting for the last couple of weeks, scored his first AHL goal on the power-play midway through the first period to put the Moose up 1-0. Darren Kramer, who has been on fire lately, added a second goal and John Albert also scored in the second period as the Moose jumped out to a 3-0 lead. Cue the comeback, though, as Mitchell Heard and Kenny Agostino scored 1:27 apart to make it a 3-2 game! The Moose would lock things down in the final ten minutes as they protected the 3-2 victory! Connor Hellebuyck made 19 saves in the win while Kevin Poulin suffered his second-straight loss. If you're keeping track at home, Connor Hellebuyck's shutout streak lasted for 169:34! With the win, the Moose improve to 21-36-4-5! After the Jake Baker sign-release-sign-release-sign saga, let's hope the Moose can find a little stability on the roster in the last two weeks of the season. On Thursday, the Jets recalled forward Nic Petan to the big club. Petan has adjusted well to life in the AHL where he's picked up nine goals and 23 assists in 47 games after the Jets returned him earlier in the season. They'll expect the same energy and scoring in his second stint with the Jets this season. The Moose also returned defenceman Julian Melchiori to the Moose on Thursday. Melchiori only played against Vancouver in his recall, so he'll be expected to pick up where he left off with the Moose. In 62 games, the hard-nosed defender has three goals and four assists. Sunday saw Chase De Leo get the call from the Jets. De Leo leads the Moose in scoring with 33 points on the strength of 16 goals and 17 assists, and he'll be expected to bring the scoring to the Jets lineup. It will be his first appearance in the regular season for De Leo, so this will be a big moment for him! To make up for Petan and De Leo playing in the NHL, the Moose recalled Ben Walker from the ECHL's Tulsa Oilers. Walker has seven goals and four assists in 26 games with the Oilers, and he'll be needed to do some scoring with a large portion of the Moose offence in the NHL. He has no points in four AHL games with the Moose this season thus far. On Tuesday, the Moose recalled Julian Melchiori after revealing that Toby Enstrom will finish the season on the sidelines after having knee surgery done. Here's hoping Melchiori can have a big impact in these last few games and really give the Jets something to think about for next season. And to cover all of their bases, the Moose announced a pair of signings today. They brought in Justin Breton on a PTO. Breton played in 63 games with the ECHL's Alaska Aces this season, recording 22 goals and 16 assists. He's a second-year pro after spending last season on the Alaska roster where he had ten goals and ten assists in 50 games. If he can score goals at the AHL level, he'll be a valuable addition to this Moose roster. The Moose also signed defenceman Tyson Wilson to an amateur tryout contract. Wilson spent the last five years at Robert Morris University where he served as captain in the last season. In 38 games this year, he picked up a pair of goals and 25 assists. In 145 NCAA games, Wilson has 11 goals and 69 assists to his name. If he can generate a little offence from the blue line, the Moose may have found an excellent undrafted defenceman! The Moose will welcome the Charlotte Checkers to town on the weekend. The Moose are 2-3-1 against their Central Division foes, and trail the Checkers by 22 points in the standings. In other words, the Moose get a chance to play spoiler this weekend while looking to jump ahead of the Iowa Wild as the cellar dwellers in the AHL. Charlotte is trying to hunt down the Lake Erie Monsters in the standings, and a win or two against the North Carolina AHL club would make things a lot harder for them to make the playoffs! There are only a few more editions of Antler Banter to go as the AHL season comes to a close in a couple of weeks. See you next week for more Manitoba Moose recaps and news! I'll be honest: I'm addicted to the videos on YouTube that feature some amateur scientist trying to destroy a hockey puck with some experiment. I've watched people try to destroy a puck using a red-hot ball of nickel, and I've seen another person document what freezing a puck in liquid nitrogen does. There's something about watching a mad scientist that just gets the better of me, and I enjoy the moment where the puck wins out in the experiment. Yay for vulcanized rubber! Today, though, there won't be a chemical reaction to observe in any way as the power of physics comes to the forefront. Will pressure win out over a common hockey puck? A hydraulic press is a bit of an engineering feat. It uses the hydraulic equivalent of of a mechanical lever - physicists love simple machines - and works effectively on compressing items by keeping pressure constant throughout the closed system. The system itself is based on Pascal's law that states, "Pressure on a confined fluid is transmitted undiminished and acts with equal force on equal areas and at 90 degrees to the container wall." The larger piston's movements in the lever will determine the amount of pressure applied by the smaller piston since the Law of Conservation of Energy must be upheld. Invented by Joseph Bramah of England in 1795, the basic design of the hydraulic press hasn't changed much aside from adding better pistons for bigger jobs. The hydraulic press was the instrument of death for the Terminator in the 1984 film in pop culture, it's used to make coins, and it's now being used on a number of common items in YouTube videos to see how they react to extreme compression. 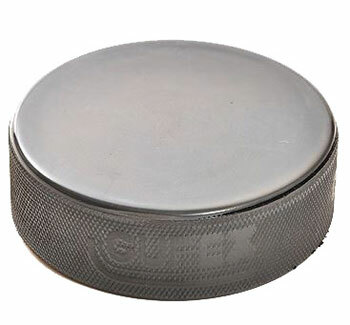 Here is the hockey puck's reaction to the hydraulic press. Needless to say, the hockey puck has a limit on the amount of compression it can take. It was pretty amazing to see the puck look more like an elastic band than hardened rubber, but that's why science is cool. There aren't many things, to be honest, that can survive being in a hydraulic press, so I'm not surprised that the puck didn't last. I was surprised, though, to see it explode, but its hardened shape simply couldn't handle the pressure. Something had to give. More science experiments like this are appreciated, so don't go into hiding, amateur scientists! A hockey puck takes a lot of abuse, but seeing what it can withstand in the science community makes for excellent entertainment! With the CIS season now officially over, there was some hardware handed out last week to the best players playing CIS women's hockey. The men also played their national tournament, I have a bit of a rant to get out, and there's some rumblings inside the CIS that should bother a number of schools. I want to run through all of this today as we close down The Rundown for this season! There are always award winners at the end of a season, and the CIS is no different. The women who play in Canadian university hockey are some of the brightest, most talented women I know with the heavy emphasis that the CIS puts on the student portion of "student-athlete", and they should be commended not only for their on-ice contributions but for their effort in the classroom as well. Just because the CIS singles out the best hockey players doesn't mean that the hundreds of women playing in CIS hockey across this great nation shouldn't be recognized. Congratulations on being the next great leaders of country, business, and industry, ladies! BRODRICK TROPHY: awarded to player of the year in CIS women's hockey. NOMINEES: Kelty Apperson (St. Thomas, AUS), Mélodie Daoust (McGill, RSEQ), Valerie Lamenta (Guelph, OUA), Iya Gavrilova (Calgary, CWUAA). It's hard to not award any of these ladies the trophy for the best in the land this year, but one player stood out to the CIS voters: goaltender Valerie Lamenta of the Guelph Gryphons. Lamenta was a walk-on to the Gryphons team in her freshman year, being given the number-three spot on the depth chart. Lamenta's hard work pushed her into the backup role behind Stephanie Nehring before she grabbed the starting job this year from the senior. She finished first in the country with 0.99 GAA, a .957 save percentage, and a .889 winning percentage on her way to a 16-2 record. She helped the Gryphons to a CIS-best 21-2-1 record as they won the OUA championship. Lamenta's play in the nets was outstanding in her 18 appearances, and she truly earned the Player of the Year award. WINNER: Valerie Lamenta, Guelph Gryphons. ROOKIE OF THE YEAR: no explanation needed on this one, right? NOMINEES: Rebecca Clark (Saint Mary's, AUS), Mélodie Bouchard (Ottawa, RSEQ), Katrina Manoukarakis (Queen's, OUA), Jaycee Magwood (Regina, CWUAA). While it was disappointing to see Magwood miss out on this award after watching her a lot this season, Ottawa's Mélodie Bouchard was named as the top rookie. Bouchard scored nearly two points per game, finishing the season with 10 goals and 22 assists in 19 games. Her PPG pace of 1.68 was second only to McGill's Mélodie Daoust's 1.70 PPG in the country, and she helped Ottawa's power-play unit rank first in the nation with a 24.4% mark. Her 22 assists for Ottawa also set a new mark for the school as well. WINNER: Mélodie Bouchard, Ottawa GeeGees. TIMEX COACH OF THE YEAR: self-explanatory. I hope. NOMINEES: Chris Larade (Saint Mary’s, AUS), Yanick Evola (Ottawa, RSEQ), Rachel Flanagan (Guelph, OUA), Sarah Hodges (Regina, CWUAA). As we've seen with most coaching awards, it goes to the most-improved team. Of the four teams above, Saint Mary's made an 11-point jump in the standings. There went from a .500 record at 11-11-2 to first-place with a 17-6-1 record and an AUS championship banner, their first banner since 2010. Head coach Chris Larade did an outstanding job with this crew, especially when you realize he had a freshman goalie carry this team in Rebecca Clark to go along with an improved offence and better defence. Larade certainly had an impact on his younger team this year. WINNER: Chris Larade, Saint Mary’s Huskies. MARION HILLIARD AWARD: awarded to the player who shows a high level of hockey while maintaining excellent grades and contributing in her community. As an aside, I feel this award is the most prestigious of the four awards because it really shows which player wears the logo on the front with an immense amount of pride. NOMINEES: Sarah MacNeill (Dalhousie, AUS), Olivia Sutter (McGill, RSEQ), Courtenay Jacklin (Queen's, OUA), Janelle Froehler (Alberta, CWUAA). All four women were exceptional nominees for the award, but it was Alberta's Janelle Froehler who was named the winner. Froehler was the captain of the Pandas, and helped her team to top-spot in the CWUAA with her seven goals and 13 points. Off the ice, Froehler's accomplishments were impressive. She volunteered the Steadward Centre for Personal and Physical Achievement, read to local elementary school children and the Edmonton Girls Hockey Association during a local reading week in Edmonton, and also helped organize a fundraising game to benefit student-athletes mental health. She did all of this while maintaining a high average in her chosen discipline of physical education and recreation. WINNER: Janelle Froehler, Alberta Pandas. Congratulations to all the nominees and winners on amazing hockey seasons! While I fault no one but the CIS on this, can I ask a question about a rule that seems to go completely against the idea of finding a national championship team? Why on earth does the CIS use the shootout in the women's game to decide games in the national championship tournament, but they let the men play all day and all night? If it was just about which team has the best breakaway players, why bother having a tournament at all? Look, I get that there are time limits for regular season games. Most teams have to travel at some point, so playing regular season games in a finite time makes sense. But when teams go through the playoffs playing deep into the night only to have that option taken from them at the national tournament? That's wrong on so many levels. Shootouts remove every piece of "team game" from hockey, and this tournament is about finding the best team in the nation. UBC played well enough to keep the Guelph Gryphons at bay. The Gryphons continued to find ways to generate shots on Danielle Dube, and it seemed like it was a matter of time before one of those shots found the back of the net. Instead, the Gryphons and Thunderbirds were forced into the skills competition with a berth in the gold medal game going to the winner of the breakaway challenge. The men, who I'll highlight below, saw the Saskatchewan Huskies play 13 periods of hockey in two games! They went to four overtime periods in the quarterfinal against Carleton, and then needed three overtime periods to find a winner against St. Francis Xavier! And yet the women play one measly ten-minute overtime period before going to a shootout. Is that right? Is that fair? Is that equal when it comes to men's and women's sports getting a fair and equal shake? Nope. Not even close. This needs to change immediately, CIS. Do the right thing, and make it about the teams. Individual breakaways are a crap way to miss out on a gold medal, and anyone who thinks differently needs a serious reality check. So How About The Men? The men play a much simpler "win-and-you're-in" style of game. There is no consolation side in the men's tournament, so teams either win or go home. Basically, a three-game win streak gets you a gold medal on the men's side. There is a bronze medal game, though, so the losers in the semifinal games will play one more for a chance at some hardware. How did these eight teams do? Let's recap! Thursday saw OUA East's Carleton Ravens battle the Saskatchewan Huskies in a game that should be on a number of "Greatest CIS Games Ever" DVDs. If they had those. Tied 2-2 with 4:40 to play in the second period, the next goal would come at 6:11 in the fourth overtime period! Parker Thomas scored unassisted on Carleton's Patrick Killeen after 66:11 of extra time to put the Huskies into the CIS semifinals. Jordon Cooke made 58 saves in the win while Killeen took the loss after stopping 66 of 69 shots he faced in seven periods of hockey. The other quarterfinal on Thursday saw the StFX X-Men stomp a hole in the CWUAA finalist Alberta Golden Bears. Alberta led 2-0 after one period, but StFX stormed back in scoring six unanswered goals over the final 40 minutes to take this game by a 6-2 score. Michael Clark scored a hat trick for the X-Men while Eric Locke picked up three helpers. Drew Owsley stopped 43 of 45 shots he faced, including 18 in the third period, in what was a goaltending clinic in the X-Men end while Luke Siemens allowed five goals on 26 shots in the loss. Friday's first quarterfinal saw the AUS' University of New Brunswick meet up with OUA West's Western. UNB scored three goals in the opening period and added two more in the third period before Western's Cody Brown broke the shutout with a shorthanded marker with 5:34 to play. The ice, however, was definitely slanted towards to the Western net. Etienne Marcoux stopped 14 of 15 shots in the 5-1 win while Western's Greg Dodds stopped 40 shots in the loss. The second quarterfinal saw the AUS' Saint Mary's Huskies square off with OUA East's UQTR. Tied 1-1 going into the third period, the Huskies broke it open with a pair of goals from Anthony Repaci on the power-play and Ben Duffy. Guillaume Asselin would pull Trois-Rivieres within one goal with 46 seconds to play, but UQTR would not find the equalizer before time ran out as the Huskies advance with a 3-2 victory. Cole Cheveldave picked up the win with a 27-save performance while Sebastien Auger made 30 saves in a losing effort. The first semifinal saw the St. Francis Xavier X-Men meet the Saskatchewan Huskies on Saturday, and this was another one that could be added to the "Greatest CIS Games Ever" DVD set. Saskatchewan and StFX would be tied at 1-1 at 7:37 in the second period, and we wouldn't see another goal until 17:35 of the third overtime period! Michael Clarke scored on a power-play at 17:35 in the third overtime period when he stepped into the left face-off circle and sent a wrist shot past Jordon Cooke that ended the game. Drew Owsley was big again in helping the X-Men to a win with his 55 saves while Cooke took the loss despite making 61 saves. StFX advances to the gold medal game while Saskatchewan moves to the bronze medal game. The second semifinal featured Saint Mary's and UNB in an all-AUS matchup. Unfortunately, it was a pretty one-sided affair. UNB led 1-0 after the first period off a goal by Christopher Clappert. They led 2-0 after 40 minutes as Philippe Halley doubled the lead. Halley then decided to casually complete the hat trick in the third period with a pair of goals, including one on the power-play, to sink the Huskies. UNB will move to the CIS men's final with the 4-0 win. Etienne Marcoux had another quiet night in making just 13 saves for the shutout win while Cole Cheveldave stopped 28 of 32 shots in the loss. UNB will tangle with StFX in the final while Saint Mary's gets Saskatchewan in the bronze medal game. BRONZE MEDAL GAME: Maybe it was fatigue. Maybe the opposition just played better. Whatever the case, the Saskatchewan Huskies looked a lot slower than the Saint Mary's Huskies on Sunday, and they paid for it. Saskatchewan held a 2-1 lead just 31 seconds into the second period, but you could sense that 13 periods of hockey previous to this game was catching up to them. While players will tell you that it's no excuse, you could see Saint Mary's just running them out of gas, especially in their own zone where the cycle game was draining on the prairie Huskies. Saint Mary's would score the final four goals of the game as they took the bronze medal in a 5-2 defeat of Saskatchewan. Cole Cheveldave stopped 17 shots in the win while Jordon Cooke made 26 stops in the loss. GOLD MEDAL GAME: UNB and StFX met in a rematch of the AUS Final, but this one had the stakes of being the best team in the country added to it. Christopher Clappert put UNB up seven minutes in with his goal, but the teams would go to the dressing rooms tied at 1-1 after Zack Macqueen scored with 11 seconds left in the frame. Francis Beauvillier put the Varsity Reds up 2-1 while on the power-play at 9:02 of the second period, and UNB would take a two-goal lead just 17 seconds later when Tyler Carroll found the back of the net. The X-Men would push for an equalizer, but all they would find would be the pads of Etienne Marcoux who stoned StFX the rest of the way. At the final horn, the UNB Varsity Reds became the gold medal winners in CIS men's hockey with a 3-1 defeat of the St. Francis Xavier X-Men! Marcoux stopped 22 shots in the win while Drew Owsley made 27 saves in the loss. Congratulations to all the men's teams on an amazing season, and to the UNB Varsity Reds for claiming the gold medal! I hesitated on adding this, but I think it needs to be put out there so that it can be discussed. There was a rumor swirling around Calgary that the heads of the CIS were going to sit down to revisit the women's draw in the CIS. The rumor was one of eliminating a team from one conference to allow a third Ontario team into the tournament. This may seem like a good idea to draw fans with the next two national women's tournaments held in southern Ontario, but it's very short-sighted on the CIS's behalf. The RSEQ, which traditionally has very strong teams, only has a five-team conference. Canada West, which has been sending powerful teams in the last few years, has an eight-team conference. The AUS is a seven-team conference, but there is strong support and a good amount of competition there. Cutting a team from any of these conferences to add another OUA team, which is a 13-team conference, seems illogical. Adding a third OUA team makes little sense when the host - Queen's next year and Western the year after - may not be in the OUA final. The CIS should really reward the four champions and four finalists for their efforts. Those eight teams should make up the tournament. Alternatively, if they are looking to cut teams, make it a round-robin tournament with five teams - the four champions plus the host - and let the teams have at it. Granted, that style of tournament will take much longer than the four days currently assigned to the tournament, but this tournament is about finding the best team IN CANADA, not in just Ontario. C'mon, CIS. Use your heads on this one, and keep representation equal among the conferences. Of course, if you want to discuss any of this stuff, the comment section below is great for chatter! Hit me with your comments and I'll respond! This is the big one as the CIS National Championship tournament ran all weekend, and there were some rather amazing games! I do have a bit of a bone to pick with the CIS over one aspect, but we'll get to that below. In no way, however, should anyone question the heart, determination, effort, and talent that goes into CIS women's hockey as the eight teams in the tournament gave fans everything and more when it came to entertainment and excitement! I'm not going to spend a lot of time worrying about the quarterfinals. It's a very simple rule for this tournament: don't lose. A loss at any point meant that the best one could finish would second-place. Easy to remember, right? ST. THOMAS at GUELPH: Guelph played this game in a very controlled, very precise manner. Marcie Landman opened the scoring at 3:05 of the second period, and Averi Nooran made it 2-0 at 17:21. Nooren would add her second of the game 8:35 of the final frame, and the CIS Player of the Year in Valerie Lamenta pitched a shutout as the Gryphons downed the Tommies by a 3-0 score. Lamenta stopped all 18 shots to help Guelph advance while Taylor Cook suffered the loss. McGILL at UBC: I won't kid you: I thought the Martlets had a shot at beating UBC, but they got off on the wrong foot in this tournament in a big way. Hannah Clayton-Carroll scored at 7:32 and Kathleen Cahoon added a power-play goal at 12:02 to give UBC the 2-0 lead through the opening period. McGill cut the lead to one with a Gabrielle Davidson power-play goal at 5:52, but Logan Boyd scored at 9:29 to make it a 3-1 game in a period which saw the Martlets throw everything they had at Danielle Dube. Melodie Daoust added another power-play goal for the Martlets at 3:29, but the Thunderbirds put any hope of overtime to rest when Cahoon scored her second of the game into an empty net at 18:15 for the 4-2 victory. Danielle Dube stopped 32 of 34 shots for the win while Taylor Hough allowed three goals on 20 shots in the loss. Guelph and UBC would meet in one semifinal while St. Thomas and McGill would battle in the consolation semifinal. SAINT MARY'S at WESTERN: These two teams battled intensely, and there would only be one goal scored in the end. Caitlyn Schell scored 29 seconds into the third period as her shot beat Kelly Campbell, and the Huskies would down the defending champion Western Mustangs by a 1-0 score. Rebecca Clark stopped all 26 shots she faced for the shutout victory while Kelly Campbell made 25 saves in the loss. MONTREAL at CALGARY: This game was a bit of a mismatch, but there were some good things seen from both teams. Ariane Barker opened the scoring for the Carabins with her goal at 12:50 and Audrey Gariepy would send Montreal into the break with a 2-0 after her goal at 18:21. Casandra Dupuis made it a 3-0 game with her goal at 15:11 of the second period, and Ariane Barker added her second of the game with 2:54 to play into an empty net as the Carabins downed the Dinos by a 4-0 score. Marie-Pier Chabot stopped 25 shots in the shutout victory while Hayley Dowling took the loss. Saint Mary's and Montreal would set up the championship semifinal on Saturday while Western and Calgary would go to the consolation semifinal. ST. THOMAS at McGILL: Both teams were coming off losses. A second loss would mean the tournament was over, so it was not a good time for the scoring to go cold. McGill's Gabrielle Davidson opened the scoring at 15:40 when she beat Taylor Cook for the 1-0 lead. The Tommies would tie things up before the end of the period, though, as Kelty Apperson scored on the power-play past Taylor Hough to send the game into the intermission knotted up at 1-1. The two teams would play a scoreless second period before the Tommies jumped out in front at 8:16 of the third period off a Lauren Henman goal. From there, Taylor Cook held the fort as she kept the Martlets off the scoreboard through to the final horn as St. Thomas wins this semifinal by a 2-1 score. Cook made 36 saves in the win while Taylor Hough and the Martlets are done. CALGARY at WESTERN: The bets finish last year's champion could finish was fifth-place, so there was still pride on the line for the Mustangs. However, the Dinos were defending their home ice as hosts, so this game was a little spirited. Chelsea Court put the visiting Dinos up 1-0 at 15:54 when she beat Kelly Campbell with her shot. We'd jump to the second period where Iya Gavrilova scored at 5:20, but Western's April Clark would respond 23 seconds later to make it a 2-1 game. Kelsie Lang added a power-play goal at 11:16 to make it 3-1, and the goaltenders would take care of the rest from that point. Neither team could dent the twine any further as Calgary will play in the fifth-place game with a 3-1 victory over Western. Hayley Dowling stopped 26 of 27 shots in the win while Kelly Campbell and the Western Mustangs will head home to Ontario. St. Thomas and Calgary will play for fifth-place on Sunday. UBC at GUELPH: Guelph played the same controlled style of play, but this game was physical in terms of the parade to the penalty box. Kaitlyn Lowy used power-play to Guelph's advantage as she scored on Danielle Dube at the 10:00 mark of the first period to put the Gryphons up 1-0. Both teams would trade chances through to the third period, and it would UBC's Kelly Murray who found room past Valerie Lamenta at 7:41 on the power-play to tie the game at 1-1. With the score tied at 1-1 through the final horn of regulation time, it was off to overtime! The ten-minute overtime period, though, solved nothing as both goalies stood their ground, so it was off to a shootout! Wait, a shootout? In a national championship? Is this really happening?!? Apparently, it is as Kaitlyn Lowy scored on Guelph's first shot. UBC responded with a ridiculous goal by Kathleen Cahoon on UBC's second shot, and we'd see five more rounds of unsuccessful attempts before Haneet Parhar came blazing into the zone on the forehand, pulled it across the crease to get Lamenta moving, and buried it on the backhand to send UBC to the CIS Final! Danielle Dube stopped 36 of 37 shots in the win while Lamenta and the Gryphons will play for the bronze medal. SAINT MARY'S at MONTREAL: This game was far different from Montreal's previous game against Calgary. Montreal got things started right when Alexandra Labelle scored at 10:50 and Ariane Barker added another goal at 18:09 for the 2-0 lead through the opening period. Labelle would add her second of the game just 57 seconds into the second period, and the Carabins had a 3-0 lead on ten shots. From there, it was like the Huskies woke up in a big way. Carly Gray beat Marie-Pier Chabot at 1:49 to make it a 3-1 game, but that was all the Huskies could get by Chabot in the second period. Laiura Polak would make things interesting in the third period when she scored at 14:36, but Chabot would surrender no more as Montreal downed Saint Mary's by a 3-2 score. Remember those ten shots? Chabot stopped 27 of 29 to help her team advance to the final while Rebecca Clark stopped 10 of 13 shots she faced. The UBC Thunderbirds will meet the Montreal Carabins for the CIS women's hockey gold medal while the Guelph Gryphons and Saint Mary's Huskies will play for the bronze medal. ST. THOMAS at CALGARY: While both teams had chances, only one team found the scoresheet. Sasha Vafina scored at 8:28 of the first period, Iya Gavrilova added a second-period power-play goal at 17:59, Delaney Frey scored at 4:23 and Heather Berzins added a fourth goal at 14:53 of the third period as the Calgary Dinos finished the tournament strong with a 4-0 shutout win. Hayley Dowling stopped all 33 shots for the shutout while Taylor Cook was good on 31 of 35 shots. Calgary finishes in fifth-place with the win. As a result, the Western Mustangs finish in seventh-place and the McGill Martlets finish in eighth-place due to Calgary's win over St. Thomas. SAINT MARY'S at GUELPH: Saint Mary's Nicole Blanche beat Valerie Lamenta just 1:49 into the bronze-medal game to put the Huskies up 1-0. That would be the only blemish between the two teams for two periods, but the third period would see scoring. Caitlyn Manning would make it a 2-0 game with her goal at 15:21, but the Gryphons would cut the lead in half 1:14 later when Christine Grant beat Rebecca Clark. Lamenta would head to the bench as the Gryphons pushed for the tying goal, but Breanna Lanceleve would find the empty net with 24 seconds to play to give the Saint Mary's Huskies the 3-1 win and the CIS bronze medal! Rebecca Clark stopped 28 of 29 shots in the win while Valerie Lamenta lost back-to-back games for the first time this season. Saint Mary's finishes in third-place after the victory. UBC at MONTREAL: I felt before the game that this one was a bit of a mismatch for UBC, but I don't think anyone foresaw the result that laid ahead as this one got out of hand. Alexandra Labelle scored a power-play goal at 7:00 and Alexandra Paradis added another power-play goal 1:39 later as Montreal jumped out to the 2-0 lead through some undisciplined play from UBC. Emmanuelle Passard would make it 3-for-3 on the man-advantage for Montreal at 8:10 of the second period, and Ariane Barker would make it 4-0 with her goal 2:01 later. Alexandra Labelle added a fourth power-play goal at 17:05 as Montreal was cruising with a 5-0 lead. Mercifully, head coach Graham Thomas pulled Danielle Dube and replaced her with Samantha Langford, but the goals she surrendered were hardly her own doing as Montreal continually exploited the UBC defence. Labelle would cap the hat trick with her goal at 11:01 of the third period. Maude Laramee scored at 15:52, and Casandra Dupuis would round out the scoring at 16:31 to give Montreal the 8-0 win in the gold medal game. Marie-Pier Chabot stopped all 23 shots sent her way for the shutout while Danielle Dube took the loss in stopping five of ten shots she faced. Langford, for the record, stopped five of eight shots sent her way. The Montreal Carabins are your 2015-16 CIS National Champions after a dominant season that saw them finish first in the RSEQ with a 15-3-2 record, win the RSEQ championship, and was capped off with a 3-0 record in the CIS National Championship that gave them the gold medal. Not surprisingly, all four teams in the championship semifinals were the champions of their respective conferences, so the best teams in Canada decided the gold medalists. Montreal finishes atop the pile, though, and to the winner go the spoils! Félicitations to the Carabins - your Canadian university women's hockey champions! I am a fan of Kevin Spacey. The man is an amazing actor and has played a number of iconic roles in his time in Hollywood. He's blazing a path of glory on the smaller screen as his work in House of Cards has been recognized and praised. He's a star in commercials as the pitch man for E-Trade, and he's played a number of iconic characters as part of stage plays. Needless to say, there isn't much that Kevin Spacey hasn't done, but I have yet to see him support any hockey franchise in any capacity in a public manner. Sure, he might have a favorite teams for which he roots when he sits at home, but one franchise may have changed all that tonight. The Florida Panthers have been wearing their "Spacey in Space" hoodie after every win. Each player of the game, as picked by the players in the Panthers dressing room, gets to wear the hoodie for that night in recognition for his efforts. It's a pretty big honour for the recipient, and the Panthers have guarded the meaning being the imagery on the front, namely Kevin Spacey's floating head against a background of space. Several of the Panthers have reached out to Spacey via social media, and he seems pretty thrilled to be a part of the Cats' run to the playoffs. However, he gave everyone a thrill tonight by doing something no one expected. Kevin Spacey showed up for the game against the Detroit Red Wings wearing a "Spacey in Space" hoodie and hiding behind a Kevin Spacey mask! I have to say that his support of the Panthers is pretty cool when he could have just brushed it off and went on with his life. To make things ever cooler for the players, he stopped by the dressing room after the game to visit with the Panthers players! While the Red Wings won the game 5-3 on Kevin Spacey Night, the fans certainly came out in droves to support the southern Florida hockey team. According to the Panthers, the crowd tonight counted 20,817 people, a regular season franchise record for the Panthers! It's pretty incredible to think that one year ago, a ticket to the Panthers would let a fan sit anywhere he or she liked with all the empty seats. Jump ahead one year, and there's not an empty seat in the barn! I'm a Panthers fan. I have three jerseys: a Rob Niedermayer, a Mathieu Biron, and a Todd Bertuzzi. I really want to see the Cats go on a run this season. Jaromir Jagr, Roberto Luongo, Sasha Barkov, Rielly Smith, Jonathan Huberdeau, Nick Bjugstad - there are so many reasons to like this team. In saying that, getting the support of Kevin Spacey is another pretty cool accomplishment in a season where no one thought the Cats had a legitimate chance when the regular season opened. Verbal Kint. Frank Underwood. King Richard III. Dave Harken. Lex Luthor. Hopper. John Doe. All of these characters have had a major impact on movie, TV, and theatre fans. Add "Kevin Spacey, Panthers fan", and suddenly sports fans have a new appreciation for the two-time Academy Award winner. I know I do. 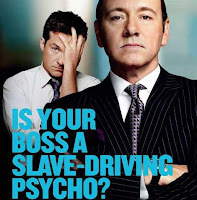 Keep being awesome, Kevin Spacey! 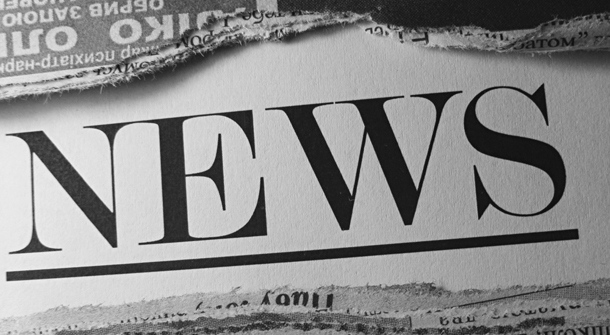 There have been a bunch of smaller stories that have passed me by this week, so it's time to catch up on all the news and information that may have some relevance to you in your hockey passion. There will probably be some non-hockey stuff worked in here, so you'll have to deal with a few tangents that I take you on, but we'll find our way back to the hockey stories, I assure you. Feel free to comment on any or all topics below. I'm sure you'll find something about which take me to task. There was an email sent to a number of women's hockey writers that described a pile of problems within the NWHL's offices including a serious threat made from Bauer towards the league about non-payment for equipment. The league, sensing a PR disaster, issued a response on behalf of Bauer and itself that basically said that one payment had been missed and that everything had been smoothed over. There were a pile of pro-NWHL writers who came out and stated that this issue had been blown out of proportion and that the league did the right thing in making up the missed payment. Do any of these writers live in the real world? I've spent time as a loan officer who grants credit to consumers. I will tell you right now that the indication of missed payments and a threat of collections should have everyone worried. It indicates a lack of cash flow in terms of servicing debt. Collection agencies usually look for a trend of missed payments before they'll intervene, and the standard period is 90 days of non-payment before a case can be referred to them in order to allow the payer to make right with the payee on the financial side. Based on the dates of the emails and Bauer's threat of collections, I'd say that the 90-day grace period was long overdue. Without knowing more, a lack of cash flow may also explain why merchandise pools dried up. 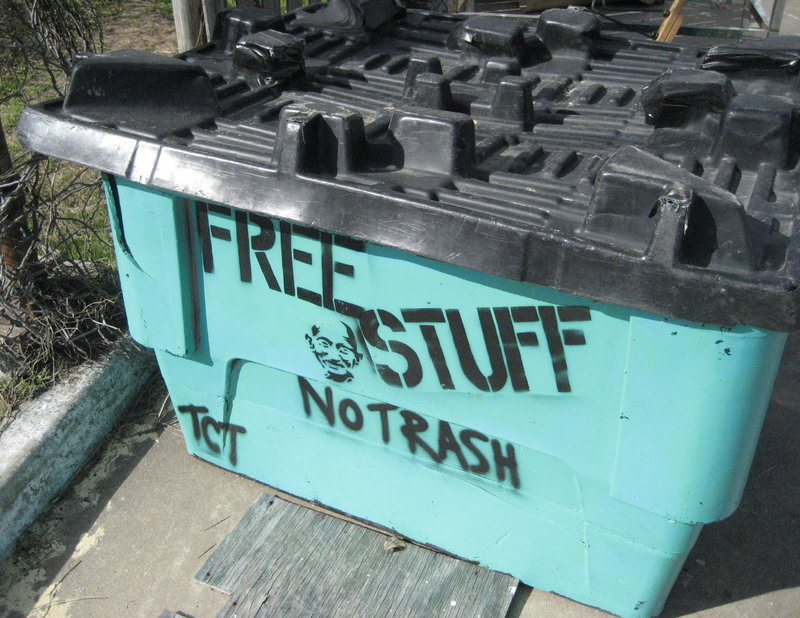 Regardless, having a vendor threaten to take the league to collections not only ruins any goodwill between Bauer and the NWHL, but may also scare off other vendors who now worry about being paid. It makes it hard for businesses to not ask questions about payment scheduling and being paid in full if a company like Bauer is threatening legal action. By having the league confirm that they missed payments is an admission to everyone that either they didn't care about Bauer's demand for payment or that there were confirmed cash flow problems. Both are damaging for the league's reputation. There were other allegations in the email sent to the various reporters that indicated there were additional problems. Riveters head coach Chad Wiseman was denied entry into the US, apparently, and the email indicated that the IRS and US Immigration is now investigating the NWHL for Wiseman not having a proper visa and for paying him in cash as opposed to having him on a payroll (and thereby confirming his valid and legal employment). Neither Wiseman nor the league has spoken out about this allegation, but if the allegation regarding Bauer and the NWHL has been confirmed as true through the league's statement, would anyone doubt the veracity of the other allegations? There were a ton of people on social media who attacked anyone who questioned the NWHL on any of its business practices. If they couldn't attack, they dismissed the accounts and stories as being false. I understand how blind faith works and the belief in the NWHL is real. I'm not faulting anyone for believing the league was conducting business ethically and fairly because the façade always made it seem free of tarnish. But there has been some judging of the book based solely on its cover. The players have never been at fault for wanting to be paid. The questions have always been about the business side of the game. You cannot start a professional hockey league through a Google search without knowing what to search for which means that you had knowledge from somewhere else. You can't tell media and players that you're playing at a rink when you don't have a contract and, in fact, never had a contract to play there. You cannot not pay your partners and vendors for a minimum of three months and expect that everything comes out roses. If this were the NHL or AHL, there would be hard scrutiny from all walks of media if these problems arose there. Scrutiny is what allows for transparency, and that's all that's ever been asked of the league. No one is asking for them to open their books and explain every line of their accounting practices, but honesty is expected. It's the continual failure of honesty that plagues the league. Let's just hope that 88 women hockey players don't pay for it. I would never drink their crap as it is, but Mountain Dew Kickstarter commercials are the worst thing on television that last less than one minute. I will guarantee that there is not one person on this planet swayed by a "puppy-monkey-baby". In fact, if that hybrid monstrosity crashed through your door, I'm betting you wouldn't accept its gift of caffeine-filled sugary drinks let alone allow it to kick your bowl of popcorn over or lick your face. That thing is beyond creepy and its CGI-designed walking make it look like its about to topple over. Absolute garbage, Mountain Dew. Stop spewing it on TV. There are a number of Canadian teams in the running for the best chance at winning the NHL Draft Lottery, but we really need to start looking at what a true "tank job" is. The 1983-84 Pittsburgh Penguins pulled a tank job for the right to select some kid named Mario Lemieux. What we're seeing today by a few teams is not a tank job by definition. The Penguins dealt Norris Trophy winner Randy Carlyle to the Winnipeg Jets for a first-overall pick and a player-to-be-named. In other words, nothing came back to the Steel City that would help them immediately. Starting goalie Roberto Romano was sent to Baltimore in the AHL and replaced by unproven Vincent Tremblay who had done nothing to warrant a call-up. In other words, the already-weak Penguins made themselves complete door mats for anyone who came to town as they went 3-17-1 down the stretch to finish in last place in the NHL. Today's Maple Leafs have promoted a bunch of talent, but these players are blue-chip talent and have helped the Maple Leafs win a few games. Head coach Mike Babcock is looking for these players - Kapanen, Nylander, Soshnikov, and more - to prove themselves in the NHL now so that they'll have a legitimate shot at making the team next season. So far, the kids are doing alright and the Leafs have won a few games since promoting the kids. The Winnipeg Jets have found themselves with some injuries to their regulars, so the promotion of the kids from the Manitoba Moose was necessary. There were as many as five players out of the lineup, and the Jets needed to fill holes. Adding the good, young players from the Moose allows the Jets to ice a full lineup and compete on most night even if they still end up on the wrong side of the scoreboard. While it's easy to point at these two teams who have a stack of young, inexperienced players in their lineups and exclaim "tank job", I have yet to see Penguins-style evidence of a tank. Auston Matthews is an exceptional player, but the key about the lottery is that the 30th-overall team isn't even guaranteed the first-overall pick. It just gives that team a 20% chance of winning it. As they say in life, the only guarantees are death and taxes. Lottery picks certainly fall into neither category in the NHL. Dennis Wideman returns from a suspension that lasted 19 games. Dennis Wideman plays games against the Arizona Coyotes and Winnipeg Jets. Dennis Wideman gets hurt in the game against the Jets. Dennis Wideman's season is over after it was announced he has a serious triceps injury. Let's just call this season a write-off for the veteran defenceman. If you missed the announcement last week on The Hockey Show, Letterkenny will return for a second season on CraveTV! Wayne and Daryl, played by Friend of the Show Jared Keeso and Nathan Dales respectively, will bring their small-town craziness back to the web-streaming service for at least another six episodes. It appears another crazy Canadian TV series is on the verge of a major breakout! Congratulations to all those working on Letterkenny on a second season! The Dallas Stars announced today that Tyler Seguin will be out until the playoffs with a "15% tear" in his Achilles tendon. While that's pretty much a no-brainer in keeping him off the ice, you have to wonder if his injury is going to hurt the Stars' playoff standing. Dallas currently leads the Western Conference in points, meaning they'd have home-ice advantage through the Western Conference portion of the playoffs. They'd also be facing the second wild card team - currently the Colorado Avalanche - in the opening round. With St. Louis two points behind and Chicago three points behind, Dallas could potentially fall to third-place in the Central Division and end up having to start the playoffs on the road against either St. Louis or Chicago. Suddenly, losing Tyler Seguin could be a lot more costly than just a few weeks of missing their top centerman. There's a quick update from Friday night. If you have comments, concerns, or questions, fire away in the comment section. It's always more fun with a little interaction! And if you're looking for some great hockey action, Sportsnet ONE has CIS women's hockey semifinal action on Saturday before the CIS women's hockey final goes on Sportsnet 360 and TVA Sports on Sunday! The Hockey Show, Canada's only campus-produced hockey radio show, is back tonight with a beginning and an end. It might not be in that order, but it will just be Teebz on the microphone as Beans will be off doing some parental duties! That being said, we'll have some extra space in the studio for some incredible women who took us on a wild ride at the end of the Canada West season, and we'll chat a little about a major tournament going on in Calgary that many believe should have included these ladies. In other words, it's going to be another fun and crazy show! I'm hoping that these two beauties will be on the show again! That didn't happen. 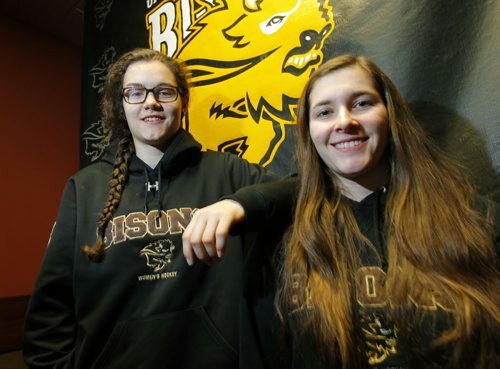 Instead, Teebz yapped about the MJHL playoffs as he threw his support behind the Virden Oil Capitals because the Bisons women's team is heading to that game to support Tyler Kirkup who is related to Karissa Kirkup of the Bisons! He also chatted about the CIS men's and women's national championship tournaments happening right now, and had an interview with Alexis Moed about growing the women's game in a place - New York City - where you wouldn't expect it to struggle based on population. As always, make sure you tune your radio dial in the Winnipeg region to 101.5 on your FM dial or listen live between 5:30pm and 6:30pm CT on your web-enabled device at the UMFM webpage! Tweet me anytime with questions you may have by hitting me up at @TeebzHBIC on Twitter. You can also post some stuff to Facebook if you use the "Like" feature, and I always have crazy stuff posted there that doesn't make it to the blog or show. We'll talk to the best women's hockey players in the province tonight on The Hockey Show only on 101.5 UMFM! This week's Antler Banter is a light one with only a pair of games to report. Those games, however, came against the high-flying, high-scoring, dominating Grand Rapids Griffins who have been decimating teams on an eight-game winning streak. Since losing to Charlotte on February 19, Grand Rapids has scored four-or-more goals in five of their last eight games. Needless to say, they're on another tear through the Central Division right now. Would this win streak be pushed to nine games? Ten games? The Moose stood in their way and looked to derail the Griffins with a big effort, but they'd need two full games from every player if they were stop the Central Division's best team. Let's find out how they did on this week's Antler Banter! So these Griffins? Wow. They're good. Grand Rapids jumped out to a 5-0 lead after a period and a half on the strength of a pair of Eric Tangradi goals, an Andy Miele goal, an Anthony Mantha goal, and a Robbie Russo goal. Chase De Leo got the Moose on the board with his 16th goal of the season on the power-play at 5:07 of the third period, and Dan DeSalvo would notch his first goal of the season at 7:16 with the extra man. Unfortunately, the comeback would be halted as Nick Jensen and Tyler Bertuzzi sniped markers later in the third as Grand Rapids took the first game of the two-game set by a 7-2 score. Jared Coreau stopped 20 of 22 shots in the win while Connor Hellebuyck surrendered all seven goals. The loss puts Manitoba at 18-34-4-5 on the season. Game Two didn't get much better outside of an improved score, but a loss is a loss is a loss. Axel Blomqvist opened the scoring for the Moose at 10:28 with his first goal of the season, but the remaining goals all went against Manitoba. Bertuzzi on the power-play, Mantha, Frk on the power-play, Tangradi, and Nosek into an empty-new while shorthanded meant another five-goal game for the Griffins as they extended the win streak to ten games with a 5-1 victory. Tom McCollum backstopped the Griffins to another win while Eric Comrie took the loss for the Moose. With the setback, the Moose fall to 18-35-4-5 in this campaign. Get ready to follow this, ok? Defenceman Jake Baker was signed to another PTO by the Moose on Friday. Baker looked good in his previous stint with the club where he had an assist in a pair of games before being cut loose. He played 50 games with the ECHL's Quad City Mallards this season as well. Ben Walker was returned to the ECHL's Tulsa Oilers on Friday. The forward played in four games with the Moose, recording no points. The Moose then recalled defenceman Brennan Serville on Saturday from Tulsa. Serville appeared in five games with the Moose, recording no points. In 18 games with the Oilers, he's put up one assist. The Moose released Jake Baker from his PTO after the two crushing defeats at the hands of the Griffins. Baker played in both games, but recorded no additional points. The key? He didn't look out of place. In fact, I thought he was alright amongst the carnage. With Dustin Byfuglien hurting, the Winnipeg Jets recalled Julian Melchiori on an emergency basis on Monday. The Moose assistant captain has two goals and four assists in 59 games with the AHL club this season, and made his Jets debut in Vancouver wearing #71. Because the Moose were down a defenceman, guess who they brought back on a PTO? That's right: Jake Baker! He squeezed in one game with the Mallards before being brought back by the Moose on his third PTO today. Here's a thought: just sign the kid! The word "playoffs" won't be mentioned in these articles going forward as the Moose are dead-last in the AHL again. Let's not even go there. The Moose travel to Lake Erie for a weekend set against the Monsters who currently sit fourth in the Central Division at 33-19-5-5 with 76 points - some 31 points more than the Moose. The Monsters have owned the Moose all season, going 5-1-0 against the Herd with 20 goals-for and 11 goals-against. Each club has a shutout against the other as Manitoba took the sixth game of the season series by a 4-0 score. The Moose are 0-2 in Cleveland, being outscored 8-3 in those games, so they'll be in tough against a Monsters team that looks like they'll be in the post-season dance. After that, the Moose come home for a Monday-Wednesday set against the Stockton Heat. The Heat are sixth in the Pacific Division with a 25-24-2-2 record, and the Moose have lost both games against the Heat in extra time - a 2-1 shootout loss and a 3-2 overtime loss - in California. These games should be a little more even as the Heat, like the Flames, won't be playing past the final regular season game. 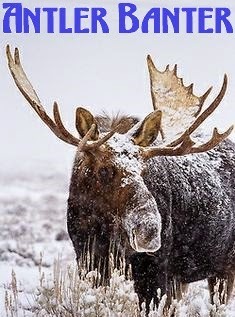 I'm thinking that if the Moose can go 2-2 or 3-1, we'll call this upcoming week a success! 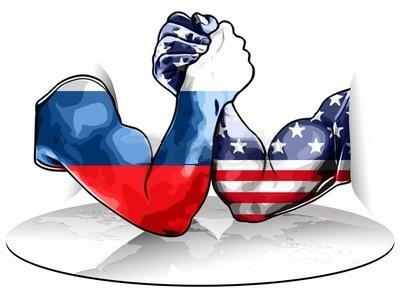 There's definitely been more animosity between Russia and the US when it comes to hockey. Russia's program remains one of the top on the planet, but the Americans have steadily been climbing the ranks to become a puck superpower as well. The women's side of the game is a little different as the Americans have always been a superpower, but the Russians are starting to look more and more dangerous. This article, however, will mention dangerous plays, but it's a plea for people on social media to learn how to use a search engine. I will admit that this video is hard to stomach because of the sound that is heard. I have no idea what the Russian player was thinking, but her reaction to whatever set her off is scary, dangerous, and assault with a weapon if we want to look at societal laws. Here's the clip that popped up on Twitter. When this popped up on my feed, I immediately thought that there had to be more coverage than some 20 second clip on YouTube that had virtually no information on the players involved. So here's the catch: this video is from 2014. Thanks to some quick research, the fantastic website Scouting the Refs has the full details. According to StR, "Little Caesars AAA player Hannah Bates, playing for the West Coast Selects Team, was hit over the head by an opposing player. With Spartak Moscow trailing 2-1, 16-year-old Svetlana Starovoytova took out her frustrations on her opponent’s head." Bates was alright thankfully, and even tweeted out some thanks to Warrior for her helmet. Note the date of the tweet. Since the attack, I can't find any information on Starovoytova or where she's ended up, but I hope she's found an outlet for that anger. I don't care what Bates did - there's no rationale whatsoever for an attack like that. As for those tweeting it out, please do a quick Google search before posting something like this. What made this worse was that the person who posted it on YouTube posted the video on March 10, 2016 with zero references to 2014. The radio station that picked it up and tweeted it out also had no reference to 2014. Come on, people. We're better than that. Get it right. UPDATE: Thanks to Patrick Conway, we have info on Starovoytova's whereabouts! He writes, "Some background info on Ms. Stavroytova, just for interest's sake: she's played most of her youth hockey -- since at least 2009 -- on defence for Marino-2000 Moscow, a boys' team that plays in the city's youth league. She played 23 games for Marino in 2015-16, scoring 2-4-6. And she had only 6 penalty minutes, so perhaps she has settled things down a bit, although she has never been particularly "goonish" in that league... :) Svetlana's sister Alyona also plays for Marino, at forward, and had 29 points in 20 games this season for Marino-2001." Well done, Patrick! Thanks!